Jan Kottner, PhD, obtained his master in Nursing Science and Education in 2007 after having worked as registered nurse in several hospital settings. 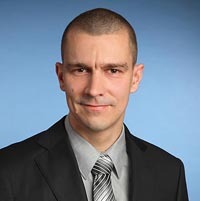 From 2004 to 2010 his research focused on large-scale prevalence studies of care problems in Germany and on skin and pressure ulcer research while working at the Department of Nursing Science at Charité-Universitätsmedizin Berlin. Validation and reliability of pressure ulcer risk diagnoses and pressure ulcer classification, application of statistical process control methods in health care and epidemiology of care problems were topics of his PhD thesis and his postdoctoral qualification. Since then his key research interest aimed at quantitative empirical research methods, validation of clinical scores and diagnoses, evidence-based practice, quality improvement and the design, conduct and analysis of clinical trials. In 2011 he became the Scientific Director of the Clinical Research Center for Hair and Skin Science at the Department of Dermatology and Allergy at the Charité-Universitätsmedizin Berlin. Today, his research focuses on skin physiology, skin barrier restoration and maintenance as well as the efficacy of skin care interventions in aged and care dependent subjects. He is involved in university teaching since 2007; he published widely in the field of nursing, health and medicine especially focussing on skin, tissue viability and pressure ulcers.